To round off some of the activities we did today, here is Otis playing with some keys. I remember my sister (much younger sister) playing with keys when she was little. When Caspar was young and wanted to play with my keys I didn't want to risk losing them. I had this set made up, the keys are all blanks. I keep them in my bag, when I reach for mine or find myself waiting, I give Otis his set to play with too. I'm sure it's not just my kids but all kids that love keys. He hasn't completely worked it out but he is getting close. I have been trying to capture Otis using the Interlocking discs on video for a while now. You may have seen the discs used before before but I love to watch how those little hands and little fingers work them. These discs are from Beginning Montessori. My previous post about the discs can be found here. Otis is in this distinct period of development. He is spending most of his time on the floor learning to crawl, but he still needs stimulation for his hands. But he cannot sit up unaided. I have other materials just waiting for the right time - which isn't here yet. I am not sure what this grip is called. It surprised me. I didn't think he would be able to pick it up at all. But he did, over and over. For the longest time. One hand, two hands. It is the first time I have presented these to him. I wasn't sure what he would do. A dear friend once wrote to me 'Vediamo che cosa fa', let us see what the child can do. This was at the forefront of my mind. These organic vegetable puffs were made for the task. He takes my breath away. Children are A-MAZ-ING. "The importance of this bread is both physical and psychological." - S.Montanaro. Understanding the Human Being. Physical as the child experiences food in it's solid state and psychological as it is often the first food the child feeds to himself. He hasn't actually eaten any yet. He is still working on getting it to his mouth. It won't be long - such great practice. Bread is also nice to hold and pull apart. Caspar demonstrated to Otis how to eat the bread. After watching Caspar's exaggerated eating movements, Otis starts moving his tongue around his mouth. And bread makes the most wonderful crumbs. This is the recipe we use the most when making bread by hand. We frequently change the quantities. Today Caspar measured out the flour and he isn't so accurate and I wasn't watching. We just even out the texture with a little more water until it feels right. Dissolve yeast and honey in warm water, add oil and salt and mix, add flour, knead for approximately five minutes, let dough rise for 20-30 minutes in warm spot until double in size, knead briefly and divide if making bread rolls, bake at 180oC for around 30 minutes or until brown. I sourced this recipe many years ago and have over time adjusted it slightly. It's not perfect bread but it's easy and edible. Many Montessori texts recommend dipping the bread in olive oil. We don't usually do this ourselves so we leave the bread plain for Otis. Soon we will add some spread or dip. Perhaps hummus? I know wool breathes but will it be too hot for summer? Our summers are hot, hot, hot and although I love the thought of using wool covers will this make my baby sweat? Is it ok for the baby to just wear a wool cover or do I need another cover? Is this a silly question? Will the wool cover work at night or does this depend on the absorbency of the nappy? Or will everything end up wet? Is it ok for the baby to just wear a wool cover (or any other cover) in public? What is the protocol here. If I am out running errands is it ok or should the baby wear shorts or pants. I wouldn't go out with just a nappy on but is a cover like clothes? Are wool covers bulky? Otis is just learning to crawl so I'd like to keep him as slimline as possible. Sorry to sound naive, this is not my area of expertise. Caspar has gone slightly mad with birthday excitement. Happy birthday Caspar. We will do the birthday traditions today but his party isn't for another week or so. Wow! Four! He is holding his spoon, waiting patiently for his food. I have moved his table and chair around. The table is now against the wall rather than the chair. Although the table is solid the chair (with him in it) is heavier so he actually feels more stable/locked in with the table against the wall. While I was determined to make an outline for the utensils, Otis is now using three placemats a day and these are often intertwined with Caspar's. So far there are too many to outline. It's on my to do list - hopefully I'll get to it before I completely miss the opportunity. He tends to go off his solids while teething but is now back on track. He is eating solids three times a day and some snacks with Caspar. Snack usually involves sucking on some strawberries. He is still consuming plenty of breast milk and is having a small drink of water from his glass with his meals. While I haven't marked him on a growth chart I believe he is thriving. I was inspired by Emily's wonderful post about Montessori style solids and more specifically about her approach to weaning. I love the photographs of Vicki Jo feeding herself - amazing! In turn I tried to snap some photographs of Otis actually eating but found it way too hard. Perhaps next time. So here he is just waiting. I don't think I've shown you his bibs before. They are a slightly smaller version of a pattern used by Cathy with the velcro closure to the side. And yes, they all match. Caspar's absolute favourite animal right now is the SHARK! We make frequent visits to our local aquarium to visit the sharks that live there. When he asked if a whale shark was a whale or a shark, I didn't know the answer. I stocked up on some resources. Firstly some model sharks then a reference guide. I quickly concluded a whale shark is in fact a shark - but it doesn't eat people. It was a rainy day today and Otis decided to take a long nap. Armed with some new modelling clay, eyes, model sharks and reference guide - we made some sharks. Anatomically correct! The reference guide was a huge help. Unless you know a lot about your animal you may need help to be able to correctly name the body parts. And that's important. My theory is to grasp his interests and explore them as much as possible. It doesn't matter if it's horses, cats, dogs or sharks. We had a blast (clay under my fingernails and all!) and discovered just a little more about the mere shark. Is it ok to compare our children? I know Montessori wasn't into comparing children, no tests, no scores, no grades, no top of the class, no bottom of the class. I have never been one to take comparisons seriously. Be it sleep, crawling, clapping, walking, counting, saying the alphabet, saying the alphabet backwards. But one thing I find myself doing constantly is comparing my children to each other. Otis has teeth when Caspar had none, Otis is creeping when Caspar was immobile and it goes on. It doesn't help that I only have two children, both of them boys and aside from having different colourings they look very much alike. While my comparisons generally go on in my head, other people have started to make comparisons also. Wow, he's just like his brother! Otis is going to hear those words over and over for the rest of his life. I hope it is never a burden - to be compared to his brother. I hope the comparisons continue to be warm and lighthearted and never lead to feelings of inadequacy or resentment. I will never be able to completely stop myself or others from making comparisons but what I can do is ensure each child is valued seperately and that I place value on our family unit. Still I feel that as the younger bother Otis will always look up to Caspar, most likely with admiration. Perhaps the admiration will be mutual. Often I find myself thinking about my children, their needs, activities, materials. Occasionally I feel the need to step back and look at the big picture. I decided to make a list of things my children really need. Which then, of course got me thinking about Maslow's Hierarchy of Needs. I tried to find Maslow meets Montessori but couldn't - so I made one of my own. The child (or human as Maslow thought of it) must have their basic needs met to reach self actualisation. I wonder if Montessori agreed. Is language, culture and beauty a physiological need? Have you thought about this before? It may seem strange but I really don't like talking to people, in person, about parenting. Unless it is a good friend, you never know where the other person stands, and how easy is it to feel offended or possibly offend the other person. I especially dislike talking about sleep. Oh is he a good sleeper? My answer is always yes. Unless he's teething. I mean I don't want to get into a deep conversation with someone about how much my son is sleeping only to find out the other person has a strong view that I don't agree with. It just seems to cause conflict. Can't we talk about something else. On the other hand, when I find myself talking to a new mum, I want to reassure her than her child's sleeping patterns are completely normal but find it difficult to open up. So how does Otis sleep? Is it interesting to know? On most days he will still have two long sleeps 1-2 hours, a day and maybe a short nap here or there. There are days when he will only have one long sleep and more short naps. During the night he wakes a couple of times but unless he is teething, resettles quickly. With Otis being my second child, I am so much more relaxed. I don't look for answers or solutions. I don't have unreasonable expectations. I also know that children are different, it's not only about the parents or the techniques they use. Your success as a parent isn't dependent on how long your child sleeps. Also there is nothing worse than trying to defend your parenting philosophy to someone who really isn't interested. And why the pressure. Who sets the rules about how much or for how long a child should sleep, or when they should sleep through the night. Who is handing out the gold stars? And why haven't I got one yet? Can you recommend a cloth nappy? It wasn't that long ago that I wrote this post about cloth nappies. Things have improved and we are now using 100% cloth and not looking back. However Otis is now six months old, just over nine kilograms and it is time for some new nappies, he needs to go up a size. I am completely happy with the type of nappy we use but I am left wondering, is there a better nappy out there? Do you absoutely love the nappies you use? Do you think I would love them too? Can you make a recommendation? Sorting cutlery is a great way for children to become familiar with cutlery before learning to set the table. This activity is most beneficial for younger children from around eighteen months/two years. There was never a time though that Caspar would have been interested to sit down at his table and do this activity alone. Simply it was never of interest. So, this becomes like so many other activities in our home, an activity that occurs in the kitchen when the need arises. He will sort the cutlery when helping unload the dishwasher, when I am cleaning out the cutlery draw or on the occassions that I have rearranged the kitchen. 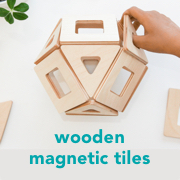 I think this is a great example of how we can introduce Montessori concepts into our everyday lives without having to set up elaborate activities, really it's just a part of everyday living. 1. (Holding the spoon) This is a spoon. 2. Can you give me/show me the spoon. 3. (Holding the spoon) What is this? This also demonstrates the perfection that an older child will seek in an activity they are familiar with. Caspar is making sure each item is perfectly aligned. I should mention that to start Caspar off, I put one of each item into the dividers, one spoon in the spoon section, one knife in the knife section etc. If you were super organised you could cut out an image of each item and put it into the relevant section to guide the child. A practical, practical life activity! Black and white images for baby. How beautiful? While browsing the internet I came across these black and white animal art cards from Bella's Casa and wanted to share them immediately. I usually don't write about a product that I don't own or haven't used with my own children, so this is an exception. 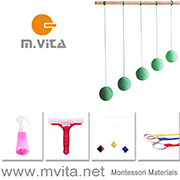 Yes, perfect, oh so perfect for a Montessori nursery.